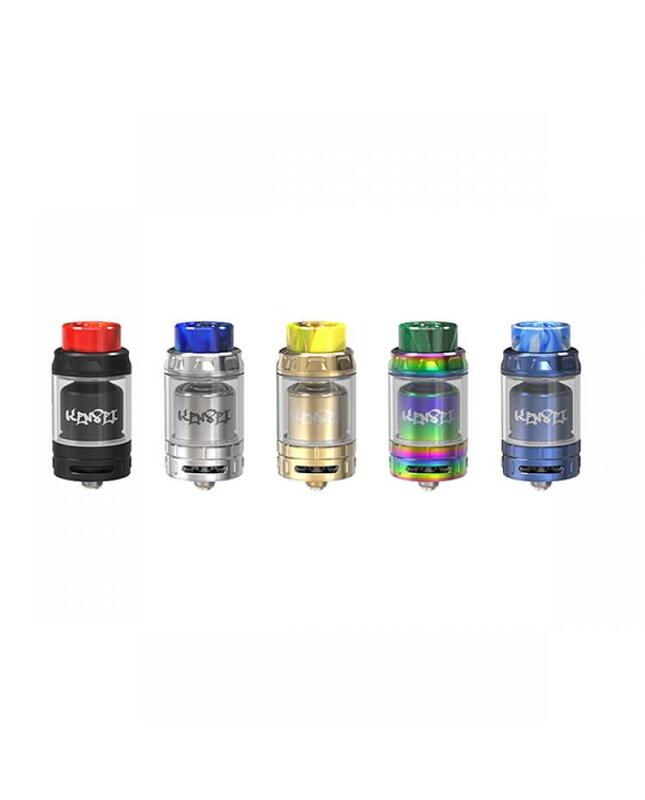 Newest vandyvape Kensei 24 24MM RTA, made of high quality stainless steel and pyrex glass, five fashionable colors available. 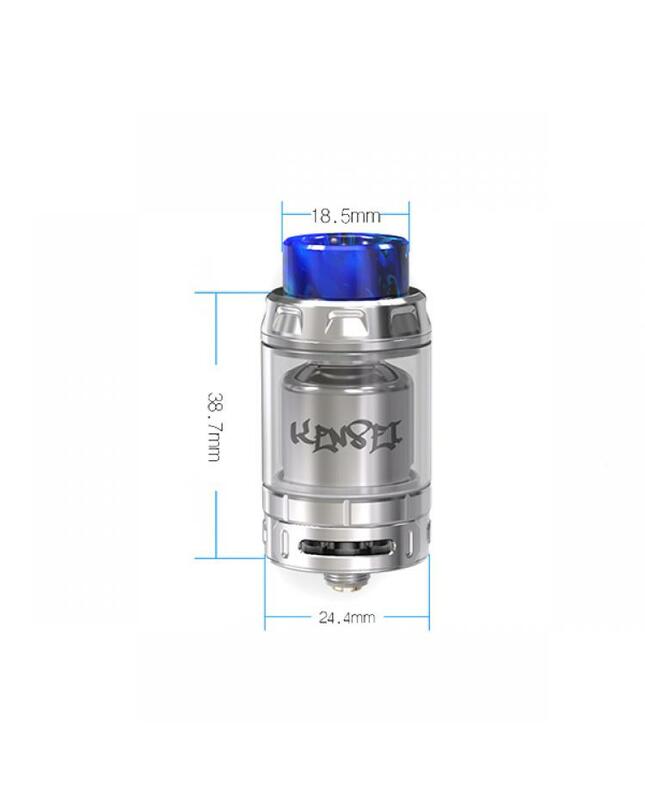 the Vandy vape 24mm RTA can hold 2ml e juice, which fulfilled the TPD rule after installed the bubble glass tank, the Kensei 24 can hold 4ml e juice. featuring a bottom honeycomb airflow system with 12holes on each side building deck, which can provide smoother airflow and bring you a brand new vaping experience. 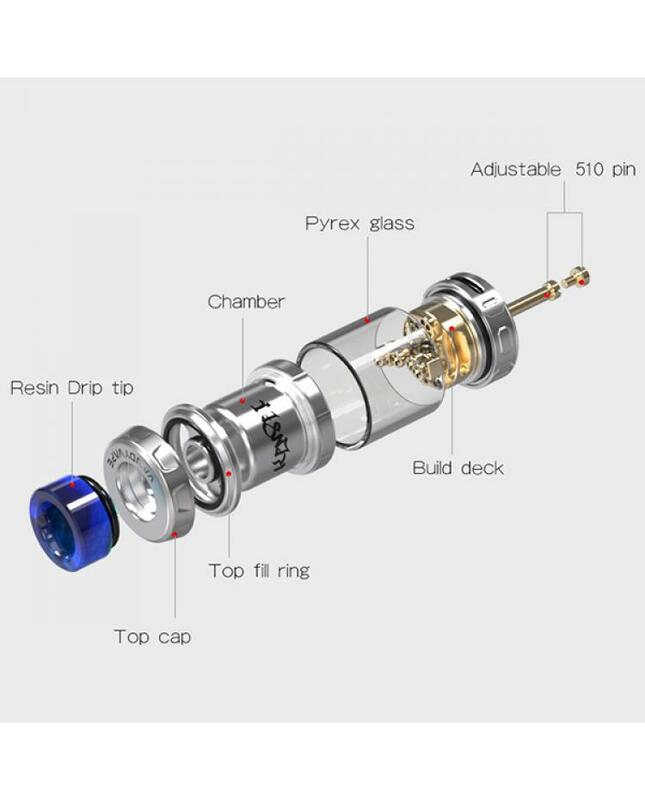 it can supports single coil or dual coils.